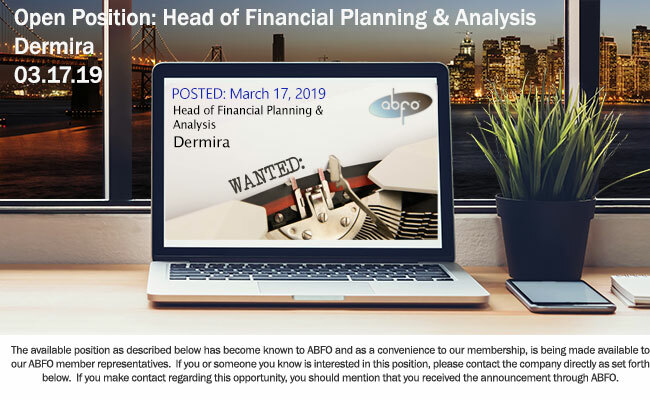 Dermira is seeking a Head of Financial Planning & Analysis (FP&A) who will play a key role in the Finance organization. Reporting to the VP Finance, the Senior Director of FP&A will have ownership of financial planning and analysis and be responsible for the creation and maintenance of financial models, forecasts, reports and Key Performance Indicators (KPIs). Working directly with the senior team, this position will play a lead role in strategic planning, assessing operational and investment decisions, and developing success criteria. The Senior Director, FP&A is accountable for providing sound financial analysis to support development of the company’s overall business strategy, developing insightful information from the company’s internal accounting and financial reports, delivering executive level presentations, and synthesizing and articulating key findings for executive and operations management audiences. The Senior Director of FP&A will advise and support the company’s executive team including preparing board and financial presentations, industry/peer group comparisons, new business initiatives and opportunities assessment, and is a key resource for the company’s corporate development initiatives. The candidate will demonstrate the ability to understand and apply various principles and possess a deep knowledge of the Corporate, Commercial and R&D businesses and processes to solve a wide range of challenges, raise business issues, and identify and implement process improvement opportunities. A strong candidate will have a demonstrated ability to communicate to peers, clients and top management in a clear and concise manner. Ownership of the FP&A function, including financial planning and tracking of operating expenses, headcount reporting, monthly close support, quarterly forecasting, annual budgeting and variance analyses. Provide direction to clients on key corporate financial policies, such as Sarbanes-Oxley and departmental policies to ensure proper GAAP treatment of expenses. On an as needed basis, participate on high-priority valuation or corporate development projects, including analyses supporting clinical program investment decisions. Projects may also include analyses for M&A and licensing decisions. Bachelor's Degree preferably in Accounting or Finance. MBA and/or CPA preferred. 12+ of progressive experience and demonstrated growth including a minimum of 5 years in Finance/FP&A required; Life Science/Biotech experience required. Prior experience with ERP systems, Financial Planning tools and other financial systems implementations preferred. Positive work ethic, superb communication and organizational skills with a high attention to detail, and unquestionable integrity and personal ethics. Demonstrated ability to thrive in a dynamic and fast-paced environment with the ability to think strategically.